Mrs. Janice Wheeler Harvey passed from this life to her eternal home in heaven on Friday, February 8, 2019. Seventy eight years old, she was a daughter of the late John Newton and Carrie Rebecca (Evans) Wheeler. Mrs. Harvey shares her birthdate with her twin sister, Janelle Brothers of Unionville, TN, who survives her. Along with her parents, she was also preceded in death by a son, Roger Marion Boyce, a brother, Bud Wheeler, a nephew Richard Wheeler, and her husband, Carl L. Harvey, Jr.
Mrs. Harvey was affectionately known by many as “Granny Pud”. She had a compassion for helping others and baking pies for friends and family during their difficult seasons of life. She was a supporter of her alma mater, Community High School and followed the Vikings and Viqueens basketball teams until her dementia stopped her ability to do so. 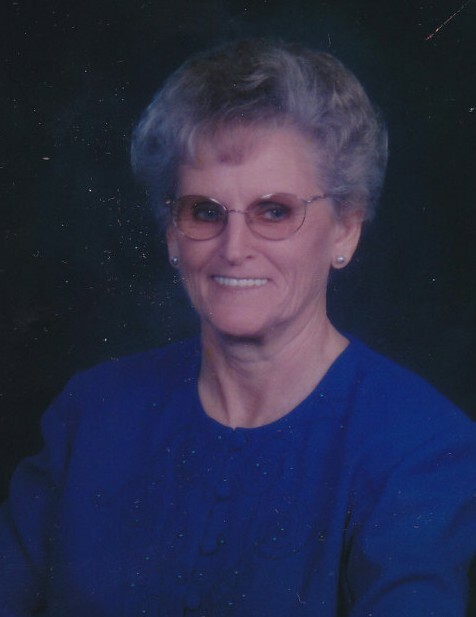 Mrs. Harvey was a member of Calvary Baptist Church in Shelbyville. Mrs. Harvey is survived by a daughter, Becky (Bobby) Hughes, Unionville, TN; son, Randall (Dawn) Boyce, Shelbyville, TN; five grandchildren, Josh Sanders, Shelbyville, TN, Lara (Justin) Smotherman and Keri Beth (Tory) Moore, both of Unionville, TN, Colt Boyce, Shelbyville, TN, Blake (Brianne) Boyce, Unionville, TN; six great grandchildren, Gracie Smotherman, Grady Smotherman, Ashtyn Moore, Ethan Moore, Mali Moore, Brenley Gibson; one uncle, Jimmy Wortham, Chapel Hill, TN; several nieces, nephews and cousins; most importantly, her loyal dash hound, Jenny. Visitation with family will be on Saturday, February 9, 2019 from 4:00 until 8:00 p.m. at Lawrence Funeral Home. Funeral services will be conducted at 2:00 p.m. on Sunday, February 10, 2019 from the chapel of Lawrence Funeral Home with Bro. Scotty Sorrells and Bro. Jimmy Gray officiating. Burial will follow in Simpson Cemetery in the Rover Community of Bedford County. Active pallbearers will be Josh Sanders, Colt Boyce, Blake Boyce, Justin Smotherman, Tory Moore and Jason Barber. Eugene Sanders will serve as a honorary pallbearer. Family members would like to give a special thank you to the in-home care team, the staff at “The Heart Remembers” of the Carriage House Inn, Alive Hospice and to all those who regularly visited during this difficult season of her life. In Lieu of Flowers, the family request that memorial contributions be made to Research for Dementia/Alzheimer’s Association online, or to the National Headquarters at 225 N. Michigan Avenue, Floor 17, Chicago, IL, 60601, or Calvary Baptist Church, 405 Lane Pkwy., Shelbyville, TN, 37160.